In honor of celebrating many BK birthdays this month, let’s keep the celebration of life going! We’re offering $5 classes for the entire month of November! 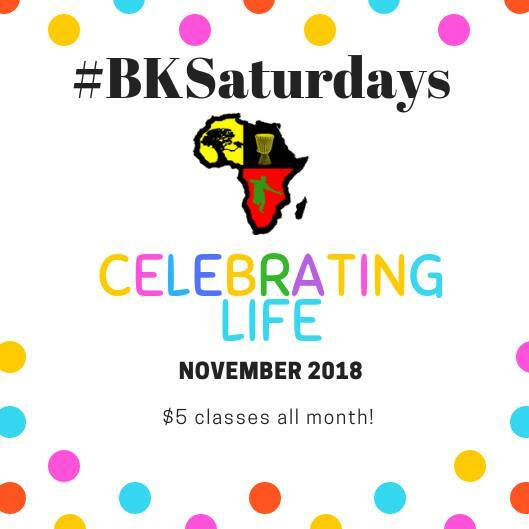 Now’s the time to bring a NEW friend, colleague or family member to join the #BKSaturdays community.